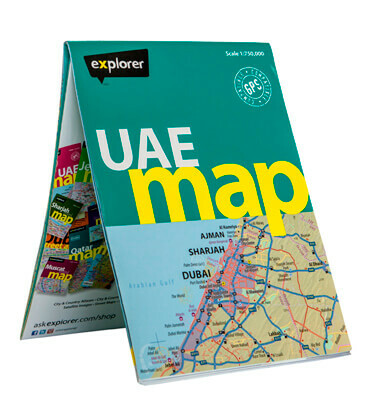 The latest UAE Map has been created with an innovative, user-friendly soft cover design. Created by an in-house team of expert cartographers, this the most up-to-date and reliable map on the market. In an ever-changing country, the map's clear and concise layout covers all the UAE's main attractions, hospitals, hotels, highways, heritage areas and airports. In its new, foldaway format, this is the most robust resource around for navigating the UAE.